It seems no matter the track the Bone Stocks are racing at, the man to watch this season has been Kyle Neumeister, who has scored multiple victories through the first two months of racing. So far this year, Neumeister has been undefeated at Sunset Speedway, winning all five features. He also picked up a checkered flag at Delaware Speedway, as well as winning the Pure Stock “STOCK” Car Nationals at Flamboro Speedway. While some people have wondered why his talents have gone up a notch in the racing ladder, Neumeister says the bone stocks are a perfect fit for him due to the cost. 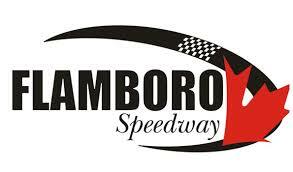 With the success that he’s had at Sunset Speedway thus far, it’s no surprise to hear his plan is to finish out the year there, while traveling to other speedways across the province to take part in the variety of invitationals. For Neumeister, racing has always been in his blood, beginning with his grandfather Art Neumeister who ran in the CASCAR Series. Kyle then began watching his uncle run Enduros each weekend, which got him addicted. Since the beginning of his career, he has been picking up checkered flags, with the most memorable moment coming when he got to race his dad.